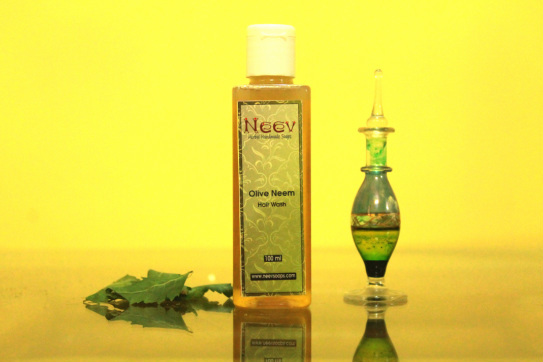 Benefits :Olive Oil is a gentle cleanser of the scalp which removes dandruff, neem oil is antiseptic, antifungal, antilice, and removes itchiness, almond oil adds luster to hair, rosemary helps hair grow longer and stronger, lavender prevents hair loss. It has the same pH as water. Ingredients : Olive Oil, Coconut Oil, Almond Oil, Neem Oil, Lye, Tween 80, Distilled Water, and pure essential oils of Rosemary, Lavendar. Benefits: Aloe Vera contains enzymes that promote hair growth. It also prevents itching, dryness, dandruff and is a great conditioner. Jojoba Oil,Lavender oil and rosemary oils also promote hair growth.Oilve Oil prevents dry scalp and conditions hair, Castor Oil strengthens hair follicles, adds shine to hair, and prevents splitends. Ingredients: Olive Oil, Jojoba Oil, Coconut Oil, Castor Oil, Fresh Aloe Vera Gel, Lye, Tween 80, Purified Water, Pure Essential Oils of Lavender,Rosemary,Geranium, Cedarwood and Lemon. Ingredients : Organic Coconut Oil, Castor Oil, Organic Mahua Oil, Olive Oil, Lye, Tween 80, Purified Water, herbs of amla, reetha, shikakai, neem, brahmi, bhringraj, Pure Essential Oils of Lavender, Rosemary, Lemon and Geranium. Benefits : Amla conditions hair, treats dandruff, gives natural shine to hair, nourishes hair from root to tip, and reduces hair fall. Shikakai helps in hair growth. 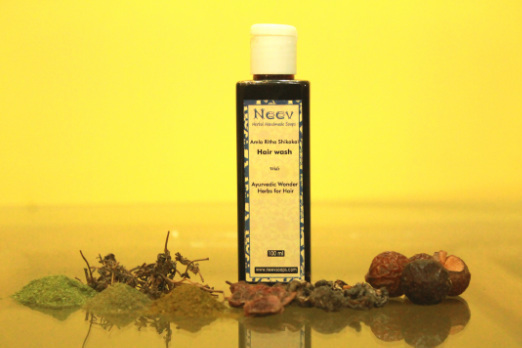 Reetha heals the scalp, henna naturally conditions hair, gives strength and vitalizes. Brahmi and bhringraj promote overall health and growth of hair. Ingredients : Powdered river bed clay procured from Swarnarekha river of Jharkhand. Benefits : Reetha is an excellent hair wash for sensitive scalps, it is good for heath of hair and treats headlice; Amla powder helps in hair growth and rescues hair fall, it provides lusture to dry dull hair; controls premature greying of hair, prevents dandruff; Shikakai promotes hair growth, removes dirt from scalp, increases bounciness and silkiness of hair, strenthens hair roots; Bhringraj prevents hair loss, promotes hair growth, rids off hair ailments; Brahmi Powder makes hair grow longer and thicker; Vetiver is a natural fragrant and coolant; Tulsi makes hair root more resellient to lessen hair fall; methi seeds are effective in preventing hair fall and dandruff. 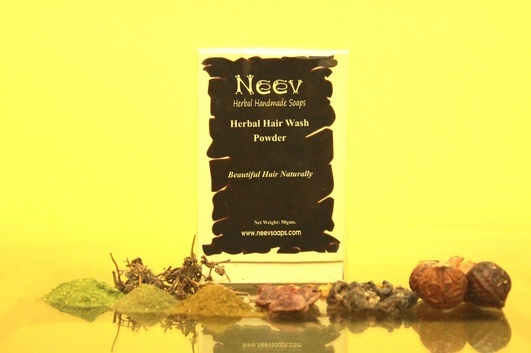 Ingredients : Organic Henna from Neev’s Inhouse garden, dried herbal powders of Amla, harar, Bhringraj, Mango seeds, Manjishtha, Aloe vera, curry leaf, jatamansi, Hibiscus flowers. Benefits : Henna is a natural hair dye. It is a natural conditioner and colorant, it protects hair from sun and dust, nourishes from roots to give you silky and shiny hair; Amla powder helps in hair growth and rescues hair fall, it provides lusture to dry dull hair; controls premature greying of hair, prevents dandruff. Ingredients : Organic Coconut Oil, Jojoba Oil, Drumstick Leaves and pulp, Apple Cider Vinegar, Emulsifying Wax, Pure essential oils of Lavender, peppermint, Lemon and Cypress; Potassium Sorbate, cetearyl alcohol, citric acid. Benefits : Drumstickis very beneficial for the hair and scalp as it has many vitamins and minerals. 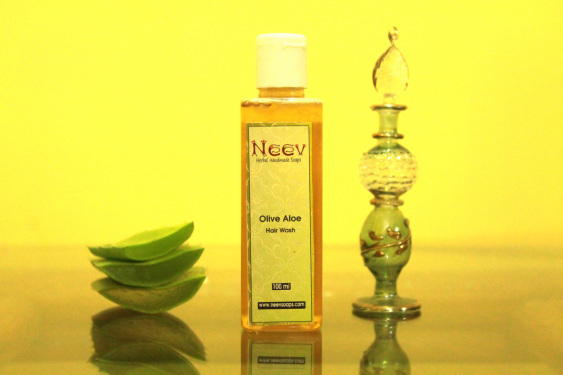 It cleanses the hair and scalp, prevents hair damage, dandruff, dry and lifeless hair. It also increase blood circulation of the scalp and boosts hair growth. Apple Cider Vinegar makes hair shinier, smoother and softer. Prevents tangling. Ingredients: Jojoba Oil, Wheatgerm Oil, Emulsifying Wax, Pure essential oils of Lavender, Geranium, Ylang Ylang , Rosemary, and Cedarwood; Potassium Sorbate, cetearyl alcohol, citric acid. Benefits: Jojoba oil helps to moisturize and protect hair follicles against factors that cause hair loss; Wheatgerm Oil is comprised of long chain fatty acids which gives it emollient properties, to relieve dryness, and add softness and moisture to your hair. Geranium, Lavender, Rosemary, Ylang Ylang and Cedarwood help in preventing hair loss and dandruff. Benifit : Makes hair shinier, smoother and easier to manage, seals cuticles of hair, protects hair from damage and breakage, prevents dandruff, removes residual build up on scalp, balances pH of scalp and hair, detangles hair naturally.